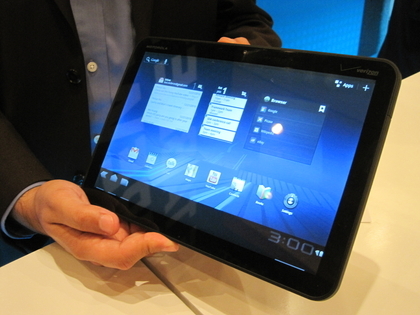 The tablet-friendly Android 3.0 OS is one of the stars of CES 2011. You’ll find it running on a number of new tablet devices that hope to chip away at the dominance of Apple’s iPad. Measuring 10mm thick, it runs a tabletized version of the Blackberry OS and is powered by a dual-core ARM Cortex A9 processor. There’s a 3MP camera on the front, a 5MP lens on the back; plus 4G support, 3G support via Blackberry phone and 802.11b/g/n wireless. Like Motorola’s Xoom, the oddly-titled G-Slate runs the forthcoming Android 3.0 software. The new device is also 4G-ready and will debut on the T-Mobile network in the US. We await rock-solid details. Another smart-looking tablet that, in tech terms at least, eclipses the iPad and the Samsung Galaxy Tab. The Iconia prototype on show at CES is running Android 2.2, but will rock the tablet-specific Honeycomb OS come launch. Like the Motorola Xoom, Acer has opted for a 10.1-inch touchscreen display here, 4G connectivity and a zippy dual-core Tegra 2 processor. There’s also an HDMI out and full-size USB port, which will make this baby very versatile. dual-core processor, the Android 3.0/Honeycomb OS, 1080p video playback and 3G/4G/Wi-Fi connectivity. It also incorporates two cameras – a 5MP lens on the back (capable of 720p video recording) and a 2MP front-facing camera for video chat. Makes the 1st -gen iPad look a little old hat, don’t you think? The LePad incorporates a 10.1-inch (1280×800) touch-screen, 1.2GHz Qualcomm Snapdragon processor and runs a customised version of the Android 2.2 OS. Available in 16GB and 32GB versions, it’s 3G-only and includes a front-facing 2 Megapixel camera. Uniquely, the LePad can be docked into a companion U1 base equipped with a 1.2GHz Intel Core i5-540UM processor, becoming a beefier Windows 7 netbook. 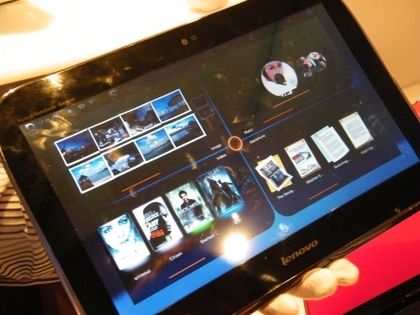 The so-called VIERA tablet isn’t a tablet PC that will rival the other devices here. In contrast, this Android-powered screen works with VIERA Connect (formerly VIERA Cast) to access internet services via your Panasonic HDTV. Screen sizes will reportedly range from a dinky 4 inches to 10 inches. Launched last year, the Galaxy Tab was arguably the first credible alternative to the iPad. At CES, Samsung announced that 1.5 million of the 7-inch Tabs have been shipped to date and that a Wi-Fi-only version will be available this year. 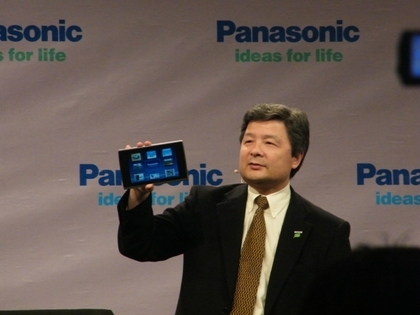 Three different versions of the Eee Pad have been launched at CES 2011, with and without keyboards. The Eee Pad Slider combines a shallow QWERTY keypad with a 10.1-inch (1280×800) touchscreen, Nvidia Tegra 2 processor, Android 3.0 and dual cameras. The Eee Pad Transformer, meanwhile, retains the core specs of the Slider model, above, but the keyboard is an optional attachment rather than a built-in feature. Finally, the Eee Pad MeMo reduces the screen size down to 7.1 inches and uses a 1GHz Snapdragon CPU. Following the embarrassing failure of its Folio 100 device, Toshiba has returned with an as yet unnamed tablet packing NVIDIA’s Tegra 2 processor. Like many other tablets it boasts a 10.1-inch (1280×800) touchscreen, 5MP/2MP cameras (back/front) and Android 3.0. 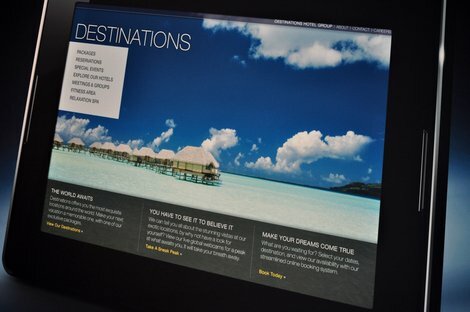 ViewSonic has redesigned and reconfigured its biggest ViewPad to make it a much better device. The 10s is now powered by a Tegra 250 chip, boasts 512MB of RAM and a 1024×600 pixel LCD touchscreen. It runs Android 2.2 for now, but this is expected to be shoved aside in favour of the tablet-specific Android 3.0 OS. Reading this round-up you’d be forgiven for thinking that there was no room for the ambitious little guy amongst the Motorolas, LGs and Samsungs. Not so. Indian-based start-up Notion Ink has been showing off its 10-inch Adam device. It boasts a 1024×600 transreflective display, 1080p video output via HDMI and a dual-core NVIDIA Tegra 250 processor.